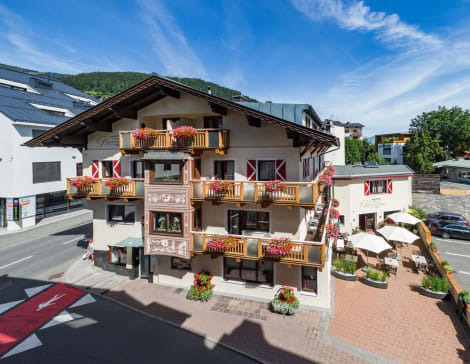 When you stay at Hotel Der Schütthof in Zell am See, you'll be near ski lifts, a 1-minute drive from Lake Zell and 8 minutes from Kaprun Ski Resort. This hotel is 13.8 mi (22.3 km) from Saalbach-Hinterglemm Ski Resort and 0.1 mi (0.1 km) from Schmittenhoehe Ski Resort. Make yourself at home in one of the 20 guestrooms. Complimentary wireless Internet access keeps you connected, and cable programming is available for your entertainment. Private bathrooms with showers feature complimentary toiletries and hair dryers. Conveniences include safes and desks, and housekeeping is provided daily.